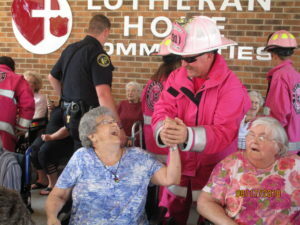 The residents and staff members of the Vinton Lutheran Home enjoyed an extra special visit this past week. 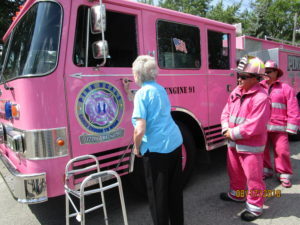 Members of the “Pink Heals Tour” parked their pink fire trucks in front of the Lutheran Home and toured the campus to visit with the staff and residents. 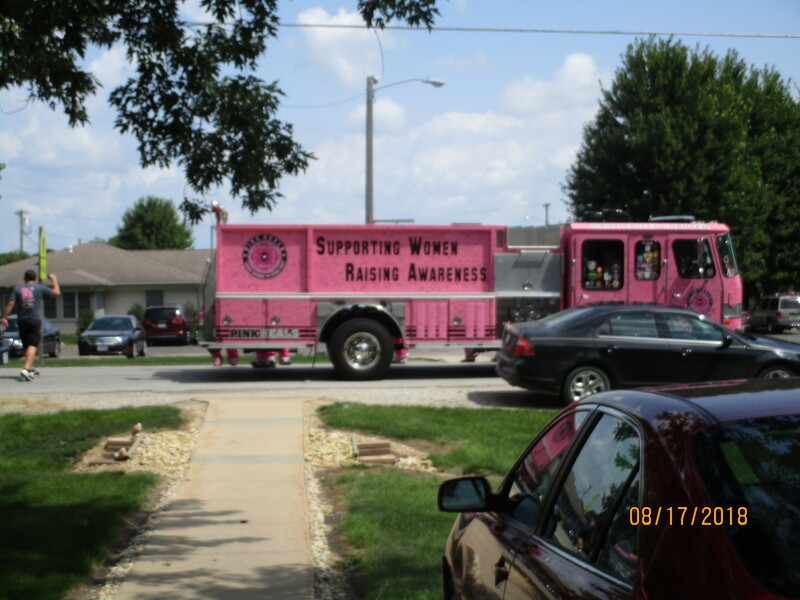 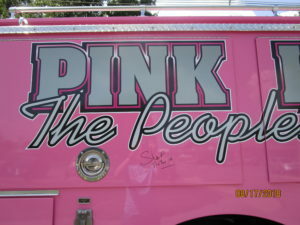 The pink fire trucks are driven across America to bring the Pink Heals Program to cities every year. 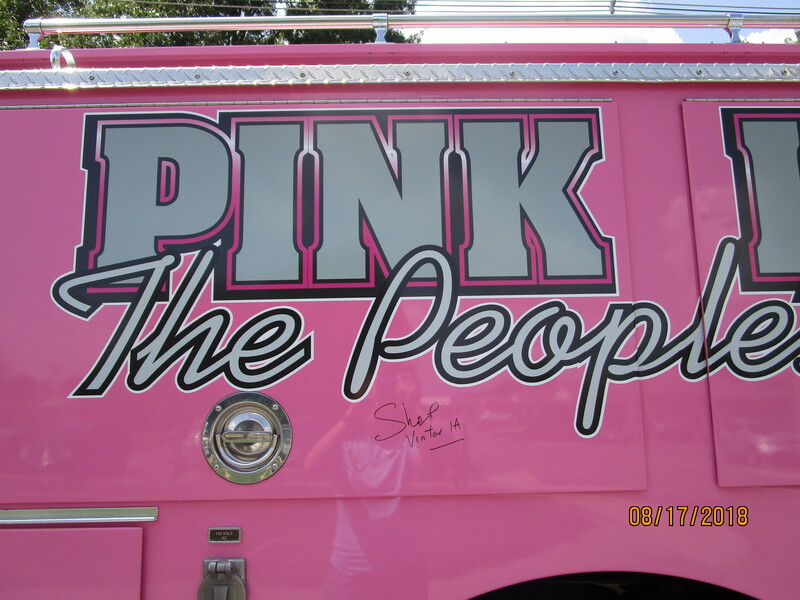 This program is designed to bring awareness to the importance of fundraising efforts for cancer victims and all proceeds raised stay local. People with cancer, cancer survivors, and individuals who’ve lost a loved one to cancer are all invited to sign the pink fire trucks. 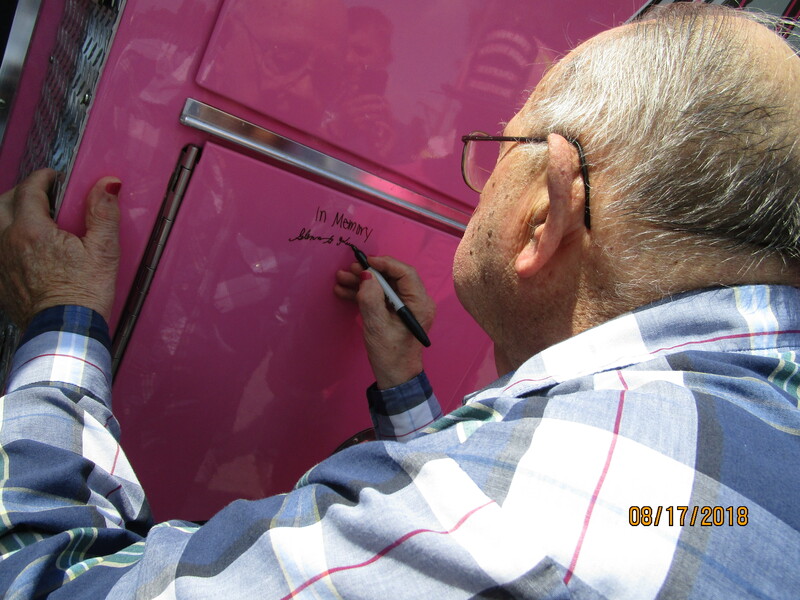 Two Vinton Lutheran Home residents had the privilege of signing a fire truck during the “Pink Heals” visit.